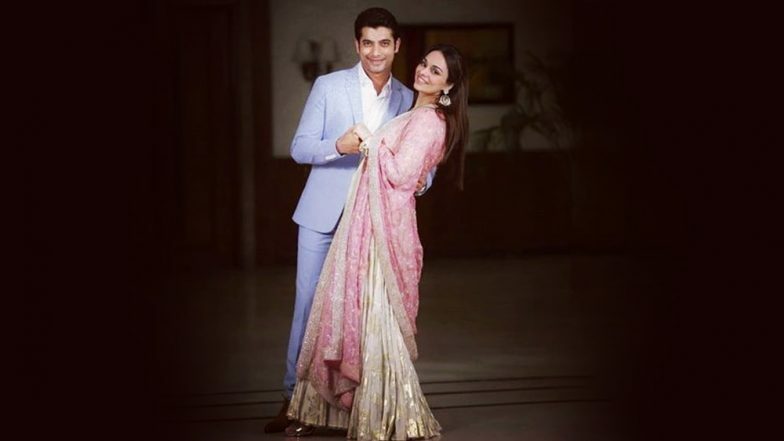 Television heartthrob actor Ssharad Malhotra of Banoo Main Teri Dulhann fame is all set to get married to his ladylove Ripci Bhatia, a Delhi-based fashion designer. He recently took his fans by surprise by announcing his marriage with Ripci on April 20. While Ssharad and Ripci have already exchanged rings and will become man and wife in a couple of days, the wedding preparations for their big-fat Punjabi wedding are on in full-swing. Recently, the couple had their roka ceremony and Ripci took to the photo-sharing app to post a picture from their pre-wedding ceremony and wrote, "Will you ever stop running...he asked.. “Only if I find something worth stopping for"..she said. And so she did." Ssharad Malhotra and Ripci Bhatia Wedding Details REVEALED! The picture of the couple from their roka ceremony has gone viral and caused a frenzy among the actor's fans. Going by the picture, dressed in a lavender-white suit, Ssharad is looking handsome while Ripci is looking gorgeous in a golden-pink ethnic dress. The couple is all smiles as Ssharad holds his wife-to-be in his arms. For the unversed, Ssharad's designer sister introduced him to Ripci and gradually love blossomed between the two (Ssharad and Ripci). Talking about it, Ssharad, in a statement, said, "Ripci and my sister have known each other for a while since they are fellow designers. My sister had introduced us a couple of years back. We exchanged occasional pleasantries on social media. Recently, both the families got involved and we both spoke over the phone for a few days. We both instantly knew this is it and decided to take the plunge. And yes, for a change we didn’t want to date each other first! In fact, it all happened in a very old-fashioned way for us as we said yes without as much as meeting each other!" Ssharad Malhotra and Ripci Bhatia Sangeet: The Lovely Romantic Pictures Are All Hearts!